Melbourne Piano School is a team of passionate, highly qualified piano teachers across Melbourne offering piano lessons to students of all ages and abilities. We teach classical, contemporary, and jazz piano lessons at our welcoming studios. Our team of skilled and caring teachers will help you realise your creative potential at piano! Andy Harrison is a classically trained, contemporary pianist originally from Vancouver, Canada. He began playing piano at the age of seven, studying curriculum from the Royal Conservatory of Music in Canada. During ten years of training he performed in many recitals & festivals, and completed Grade 9 Piano with First Class Honours. Andy founded Melbourne Piano School in 2012 and is passionate about supporting music education in Melbourne. From humble beginnings teaching solo out of a friend's lounge room, Melbourne Piano School has evolved into a thriving organisation with more than 15 teachers across Melbourne. 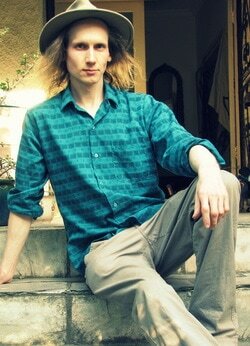 Since 2004 Andy has been exploring free improvisation and has developed a unique style of intuitive songwriting. He is a passionate musician who has also studied trumpet, performed in choirs, and is an organiser of TaKeTiNa Rhythm Process workshops. While busy managing the school, he also still enjoys working with students, offering a fun, creative and personalised approach to learning piano. Learn piano with our gifted and enthusiastic teachers!